The appointment was made by Global Missions Director, Dr. Verne Ward upon the recommendation of Africa Regional Director Daniel Gomis and in consultation with Jurisdictional General Superintendent, Dr. Carla Sunberg. Kunene currently serves as superintendent of the Eswatini Central District (formerly known as the Swaziland Central District). “Dr. Kunene has a long record of service to God and the Kingdom,” Sunberg said. “His wisdom and spirit will be sensed as he brings leadership to the Africa South Field.” He will continue in the role of district superintendent, which he has held since 2015, while also fulfilling the responsibilities of field strategy coordinator. Prior to his ministry on the Eswatini Central District, Kunene was a pastor and educator in the United Kingdom on the British Isles South District. 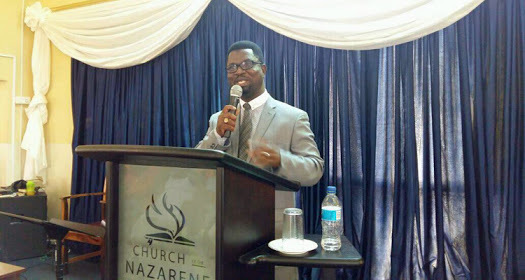 Kunene obtained his PhD in Biblical studies from Nazarene Theological College-Manchester in 2010. He earned his master’s degree from NTC-Manchester as well. Kunene is also a graduate of Southern Africa Nazarene University. He was ordained in 1997 on what is now the Eswatini North District and is a pastor-theologian, a passionate evangelist, the proud husband of Prudence, and father of three girls: Sinenkhosi, Pasheya, and Tiyantza.